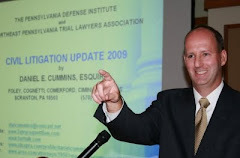 According to an April 16, 2010 Times Leader article, Luzerne County Clerk of Courts, Robert Reilly, was charged by the U.S. Attorney's office with soliciting and receiving bribes, and gratuities, in his official capacity. According to a one page criminal complaint, Luzerne County received federal assistance in excess of $10,000 during each calendar year beginning 2005 until 2009. In or about 2007, Reilly allegedly did "corruptly solicit, demand, accept and agree to accept a thing of value, that is money, from a person, intending to be influenced and rewarded in connection with a transaction and series of transactions involving $5,000 or more." More specifically, Reilly was charged with demanding 10 percent kickbacks over five to seven times, totalling $1500, from a contractor in exchange for the contractor securing work in the Courthouse.